Ann Miura-Ko (@annimaniac) has been called “the most powerful woman in startups” by Forbes and is a lecturer in entrepreneurship at Stanford. The child of a rocket scientist at NASA, Ann is a Palo Alto native and has been steeped in technology startups from when she was a teenager. Prior to co-founding FLOODGATE, she worked at Charles River Ventures and McKinsey and Company. Ann: So, let’s take a company like AirBnb when we saw it. It was called Air Bed and Breakfast. They had sold you know tens of thousands of dollars worth of cereal boxes McCain scrunchies and Obama owes to finance their business. They had sold only a small number of air bed space but could show that that was working to some extent but the business was selling air bed space not even a room not a couch and not definitely not a house and especially crowded locations where hotels had sold out. And so it’s a very different business from what you see today. And you have to make that dotted line from what do I see today. What’s different about this and where will it go. And sometimes you’re wildly wrong on where will it go. But you’re trying to figure out how this entrepreneur takes this idea there. Can she make it a reality? And what I found was that every time we bad on founders where we say absolutely they can make that a reality it doesn’t matter if we were wrong on our hypothesis of where it would go. They would make something interesting happen. Matt: As a serial entrepreneur and angel investor. I’m of the belief that startups and early-stage companies change and define the world. I’ve seen a world and I believe many of us have corporations and governments have failed to innovate and change things that truly need changing and oftentimes it is a startup or a business incumbent that comes in and creates meaning lasting change in the world. The examples are numerous but I think monetary incentives can be the driving force often to create a better world. Today we’ve got someone that I and many look up to Ann Miura-ko who has been called the most powerful women in startups by Forbes and is also a lecturer in entrepreneurship at Stanford. She cofounded along with Mike Maples, the prominent seed stage venture firm gave and prior to that work at Charles River Ventures Mackenzie who is a product of Palo Alto had a rocket scientist at NASA for a dad and is steeped in technologies and who’s a teenager. Some of her impressive investments include with the Xamarin, Refinery 29 joy on TaskRabbit a month or two was recently named one of the top 100 investors on Midas list in 2017 and is again on the list. Today’s interview was incredibly interesting given my experience and desire for angel investment and background in startups. Today we cover many things including how the space race and NASA Dabb, transformed and led her to venture how the venture ecosystem has evolved especially for women since 2001. The importance of living through and experiencing an economic downturn. Why and believes we need to change our economic system to adapt to the coming changes. How AI will impact the job market and economy and why it is fundamentally optimistic why we need more women in diversity and how and see developments impacting cryptocurrency affecting our society. Why am opulently passed on investing in AirBnB and the little-known truth about startup success? And now without further ado, I give you Ann Miura-Ko. I heard you’re the trial of a rocket scientist what was that like. Were a Heaven Heaven Mom or Dad from NASA? Matt: And then you realized you had an awesome life. What year was that. Was this was this a space race time? Ann: Yeah it was back in the time. You know Christa McAuliffe was about to go up into space. We were making wings out of balsa wood in third grade and the whole idea of astronauts was like a really huge thing. Matt: So your dad basically ruined due for boring corporate job. What was that like as a kid seeing that. How has that impacted you? Ann: So I think my dad is probably one of the most curious or you know interesting people from the standpoint of learning. He was always very open to sharing what he did at work whether it was bringing just home reams of paper computer printouts that he was going through. And then when he would discard them he’d give them to me to play with. And so you know I would pretend to be a research scientist going through all this data circling things and tearing out sheets of paper and pretending to be a research scientist. I think the other way it manifested itself was you would he would buy things and take them apart. So I remember my first computer was the IBM PC junior and one of the first things he did was he opened it up so we could see what was inside. And when you open up a computer and you see what’s inside it seems a lot less daunting. And so I thought it was it was just a super interesting way to look at the computer and it just it opened up a new world for me. Another example that is my mom is trying to teach me how to sew and so I remember looking at this machine and saying to my dad I want to take it apart and my dad was actually really cool with it. So before we learned how to sew he just opened up the machine took it all apart and showed us what was inside. And then we put it back together again. And to me that that kind of OK ground based knowledge that that someone so open to providing that to you was a really meaningful part of my learning. Matt: Do you think that’s missing from today’s education system? Matt: So, Do you in a really unique position living in Silicon Valley also as a venture capitalist and you’re a mom of three. How are you. How are you helping your kids and in that way this is something that not enough people think about and I think our education system is failing us personally. I would love to hear your thoughts on them what parents can do. This is very interesting as a recent parent I would recommend that you listen up and got some very interesting views and a VC sitting in San Francisco has the perfect perspective on how to help your children thrive. Ann: Yeah. You know I actually love hope for the education system. A person I used to work for Ted Wintersmith wrote recently a book called What schools could be and and actually the profile of what schools are today. And he did a 48 state tour and found these incredible examples of teachers doing things for students that were just amazing. And what I found is that you see pockets of s and if you can magnify it and make them more prevalent then there’s a lot of hope for my kids. I was just joking with a girlfriend as they were eating lunch that I think of summertime as is a great opportunity to to learn as much as possible. I call it the [Inaudible] school for the summer period. And you know my kids do everything that they do so a normal summer camps and sports. But at the same time I’m also pushing them ahead in math and I’m teaching them the math that I want them to know not necessarily the math that’s going to help them accelerate in the next year and then I’m teaching them computer science and then I’m teaching them writing. And part of what I believe is that when you look at the skill sets that makes students really successful in it in school whether it’s at the high school level or the collegiate level none of those skills are actually make you a great student make you a great employee or entrepreneur or creator within our world because the singular things that you need to do for school success is really taking great notes. Listen well to someone who is explaining the truth to you memorize that truth and then be able to solve problems that they want you to solve and then be able to repeatedly do that on exams and when you enter the real world it’s this it’s this really crazy wake up call. There is no source of truth. You discover you have to figure out what the problems are. You have to define it and then actually create a solution for it and then deliver that solution into the world so that other people will use it. And you have to do that in a team environment and you have to deal with freeloaders and people who want to boss you around and. And it’s not an individual exercise. And so how do you create the skill sets to deal with that kind of world and that kind of future. But something I think about. Matt: what about the skill sets for yourself personally what you focus on improving? Ann: I believe I as I as I get into my 40s I need to be more flexible. I need to debate last and listen more and I need to empower people around me to be their best selves. And I think those are all things that I need to focus on more as I get older because as I get older I’m relying on my my habits my my knowledge set and I need to keep reminding myself that everything is always new and everything is always different and so so be curious maintain that curiosity and leverage those skill sets to than double down on the places where I need help. And I think for me the help is now. I feel like I can win almost any debate but I need to make sure that I’m listening carefully and then I’m incorporating everyone else’s feedback and that that everyone else feels empowered that takes emotional maturity to reach that point. Matt: How did you get here. How did you realize that. Is that something a lot of creators struggle with and a lot of people especially in the male-driven tech NBC world West? Ann: I think I think so I’m still working on it and I really have a great answer for you. I think the self awareness part is knowing that I I have failed my organizations in the past and I want to make sure that I don’t repeat those mistakes. I am blessed with a team that is incredibly forgiving and is also always on a learning journey as well. And so I appreciate always the feedback that I receive. But I also know that there’s a long way to go. Matt: So and I got you on the program because you’re one of the more prolific investors especially one of the more prolific female investors. And while it’s frustrating to have to say that some of it is the truth and some of it just needs to be said. I want to talk a little bit more about venture about how you into this role working with Mike Maples and funding for it? Ann: Yeah. So after I graduated college I worked for five years. And of those five years two years I actually worked at a venture capital firm it was called Charles River Ventures CRV out on the East Coast and I worked for this guy Ted Wintersmith who was managing partner there. I my second day of work ended up being 9/11. And so the economy basically already was in a slowdown mode came to a crashing halt and I had both the opportunity and the learning experience to see what really happens in an economic slowdown and what really happens within entrepreneurship. And I learned a lot of lessons. And one of the ideas I always had in my head though was that I was going to go back to grad school. And originally I was going to law school but partner I was working with and the fact that I got to see my significant other at the time was going through through Harvard Law School. I had the opportunity to realize that that wasn’t for me and I switched directions to enter into a Ph.D. program at Stanford in the engineering school and my original plan was actually to start a company and be a founder, technical founder of a company and I really was pursuing that idea even through my research and eventually in 2007 I picked my head up and I started talking to some of my mentors and advisers to see what I should do. And one of my mentors suggested that because I’ve been doing research for four years I should find an angel investor and see what was happening at the really early stage. And I connected it back up with Mike Maples because he had been an adviser and one of the classes that I had taught and I asked if I could see his deal flow and he was nice enough to say yes and I came in and I saw all the all the deals he was working on and had the opportunity to start to realize that a few things are true. One was that this was the start of the the slowdown in 2008. So I was starting to see companies that were emerging that needed much less than the traditional series a five million dollars. And we were seeing all these companies even amongst my grad student friends entrepreneurs in the neighborhood and because of the economic slowdown no one was cutting checks no angels were cutting checks. The larger funds were fleeing upstream to where there was less risk. And so there were really just a handful of investors and angels who were active at a time. And so when Mike said hey I raised this fund and I’d really like to have a co-founder come on board. On one hand it sounded like a crazy idea because there weren’t really startup venture firms that point but on the other hand it’s seemed to make sense. And I think this is how most entrepreneurs get started with their businesses but it just made sense to me and not a lot of other people and I got a lot of advice saying you know don’t start up a VC firm. That’s the craziest thing I’ve heard two people saying you know you should be an associate at one of the larger firms. Matt: hey matt here. As not everyone is familiar with the startup investing market. Let’s do a quick rundown. So let’s say you a startup and you’re looking to raise funding maybe you had a rich uncle Joe who can help you with getting the product off the ground as the company is growing. You have more traction and need more money. We’ll get to traditionally an angel investor or an angel who are a group of well-to-do individuals typically serial entrepreneurs or business folks that have a bit of money want to invest in early stage companies. Some do it to get back on board or returns as the company progresses they’re going to need still more capital and then they’ll go to the professional players. The venture capitalists who are working at VC firms there are many different stages as the company grows and more money that’s needed. Typically these are different VC firms that are going to be acting within different stages just based off of their economics and what they focus on and in her are a seed and early stage VCs so they’re looking at early companies and they’ve done really really well on it. If you want to learn a little bit more about early stage investing and what the startup ecosystem looks like I recommend checking out or other populist syndicate that VC where you can learn more about tech investing. Matt: And Mike Maples had a killer track record at this point? didn’t he? Ann: He did. He did. At that point you know Twitter was really starting to take off the Fail Whale was pretty prominent a dig at that moment was it really big. He was early into Weebly just not TV had not yet pivoted into social and which he had been early into a reputation [Inaudible]. So there is just a lot of very early and very intelligent that sat Mike in place that we’re starting to see really early traction. Matt: So you are excited and scared shitless about letting them down? Matt: How do you how do you jump into that as a newly minted partner. How do you get into that role and what was your role as an days? Ann: Yes so the early days I actually said to Mike I don’t want to make any investments I just kind of want to sit back and learn. So I spent the first year just basically following him around and watching what he did and trying to figure out what worked for me and what didn’t work for me. And I love that partnership. I think it’s the foundation for our relationship was that we had these early days where you know he’d be super frustrated about something walk into the room and we’d be able to work it out together and I could see how his mind worked and he could see how my mind worked. And it was it was a great foundation for our partnership. I also felt like the beauty of working with someone like Mike Maples from my perspective was I came from a much more technical angle. Mike is incredible on technical things and grokking technical issues but he approaches things from a much sort of larger picture and understands marketing and positioning in a way that I hadn’t seen before. And so I just really appreciated the way his mind works. And for me it was a whole new skill set that I had never observed before. And for me was just sort of magic. Matt: Did you still take it apart strategy from your dad. Is that how you got into understanding deals? Ann: That for me the breaking apart of companies at the very early stage is really really hard to do. And the reason why is when we look at a company oftentimes it looks nothing like what the company will be. So let’s take a company like Airbnb when we saw it it was called Air Bed and Breakfast. They had sold you know tens of thousands of dollars worth of cereal boxes McCain scrunchies and Obama owes to finance their business. They had sold only a small number of air bed space but could show that that was working to some extent. But the business was selling air bed space not even a room not a couch not definitely not a house and especially crowded locations where hotels have sold out. And so it’s a very different business from what you see today and you have to make that dotted line from what do I see today. What’s different about this and where where will it go. And sometimes you’re wildly wrong on where will it go but you’re trying to figure out. [Inaudible]This entrepreneur takes this idea there. Can she make it a reality? And what I found was that every time we sat on founders where we say absolutely they can make that a reality. It doesn’t matter if we were wrong on our hypothesis of where it would go. They would make something interesting happen. Matt: Here’s the secret. Every business and startup that you’ve seen started somewhere else wanted to do something else or had a completely different plan. Things change things evolve. That’s how business and evolution work. It don’t feel as if you have to have all of your ducks in a row to try to change the world or build a business that really accomplishes something because none of these guys did here being that and Uber didn’t Facebook. None of the companies that you thought of how they were all winging it as they went along and just trying to stay above float.So if you’re interested in trying to change the world start a media group.What’s the most effective way you phones to read to people and to find that it factor because it does 100 percent come down to the founder. It’s going to be it’s going to be a roller coaster it’s going to go up and down it’s going to sockets going to be awesome and the one who can get punched in the mouth over and over and come back is going to be the one that wins. Ann: Yeah. So I’ve seen a couple of things that I think are really important. Number one is actually an ability to recruit and an ability to recruit a lot of different types of people. And so I love seeing founders who are able to reach beyond their initial network and convince fairly random people to come work with them and by random I mean random in terms of connections but high interims caliber. The second thing that I’m looking for is a desire to learn and the curiosity involved there because the business plan never survives first customer contact. And so we need to make sure that the founder is aware of that cares about the difference between what they’re seeing and what they expected and then you can change the business as appropriate but that they have confidence in some some thread within that business that may or may not has been proven that they can maintain consistency across the board. And so it’s this fine balance between experimentation and conviction and the best entrepreneurs have that balance extraordinarily tightly done and then are able to hire as a result with incredible narrative. And if you find a founder who has those two characteristics then you want to hold on to them for as long as possible. And it might not be the first of a second investment but as long as you keep funding them you’re going to win. What what areas or industries are you most excited about today what are you looking into in terms of and’s future Bill? Ann: Yeah the area that I’ve been spending a lot of time in is is an I am part of the reason is that I believe that when you look at enterprise software and you see the fact that we haven’t had one of these mega giant enterprise software companies win in a really long time. And you know Microsoft is out a few hundred billion dollars or calls that a few hundred billion dollars. But there are very few companies that are able to get the escape velocity to get beyond 100 billion dollars and counter to that. There are all these movements in enterprise software which suggests that the fundamental architecture of software is changing. So more things have moved to the cloud. There is massive movement towards mobile devices for both data entry and data capture. We can see that intelligence and software is actually about to start making a difference and the collection of data continues to double or triple every year. And so you take all of this knowledge and you say to yourself something has to change like the infrastructure within this industry is going to shift pretty dramatically over the next 10 years. And so we’re due for a hundred billion dollar plus enterprise software company. And so the reason why I believe intelligence is where we’ll find it is that if you take anything like a piece of software that people are playing millions of dollars to support as well as pay the license for that infrastructure which is you know data at the bottom layer you have business logic in the middle and then some sort of presentation layer that has to change when you move into actual intelligent enterprise applications. And the reason is that business logic now is replaced by models that learn from itself and in order to enable models to replace business logic. Now the data that you’re gathering has to look different as well. It has to have this statistical component to it and then the presentation layers also different because you’re not just repackaging data and you’re not just capturing information in a form you are actually you know putting out decisions and you’re justifying those decisions. And so the entire stack for applications is going to change fairly dramatically over the next five to 10 years. And if that’s true then new companies will actually emerge to take the place of the giants. Matt: Or be acquired by the Giants as Oracle ever built anything? Matt: Initial product and it seems like they’ve acquired everything and sold that sense. It’s an interesting business model so Ai Ai Ai human enterprise. I definitely see that as interesting or exciting and at the same time it’s kind of boring and mundane. Where do where do you see the other implications of AI outside of simply more efficient software or what are those implications on a societal scale. Because a lot of people won’t need jobs if we can get rid of them. Ann: Right. So there are a few things. So one is actually I would disagree that it’s just AI is meant to purely automate things that we already do intelligence. Actually presupposes something else it’s not automation. Right. So if you get intelligence right what it ought to do is provide people with superpowers. It should make essentially the impossible possible or it should give you eyesight. You didn’t have. And so the ways in which I believe artificial intelligence in its best use cases will happen is when it’s really tightly integrated into the way you work on a daily basis. And it’s basically giving you the capacity to do things you never did before. So what does that look like? I think that instead of helping you search for a needle in a haystack. So identifying more cats in videos. I think what it’s going to do is it’s going to help you identify things that you didn’t even know to ask the unknown unknowns within your data. In practice what does that look like? Well we have this one company Dostie which works with very very complex data sets and they worked with a research scientist group which is looking at data for type 2 diabetes and they discovered that type 2 diabetes is not just one type of diabetes. There are three different types of type 2 diabetes and as his doctor said it’s type 2 3 and 4. And so if you are trained in believing that there was only one kind of type 2 diabetes would have never looked at the state in that way. But by arming our research scientists with the ability to explore data. Now you’re giving new lens to look at this data and find something new that doesn’t replace the research scientists because they still have to understand the why. And what does it mean. And I think those those are the areas where humans actually have a very natural capability that centers around intuition and creativity. And so I believe that you know the more we can center human work around the the things that matter and then automate away all of the things that we already know. We actually unleash human capacity in a way and make jobs even more interesting. And that’s my hope. Matt: I would agree with your hope. I think we also make jobs less numerous. I don’t know I don’t know your thoughts. I don’t know are you optimistic pessimistic or realistic or even yourself. Ann: I’m actually optimistic. I think that the optimism that centers on a presupposition they have to change education. So I agree with you that if the jobs are remain the way they are which is most jobs are just about taking instructions and executing them those jobs will all go away regardless of whether or not we have intelligence or not within our compute infrastructure. Just the fact that we have computers that can do a lot of math means that anything that’s an instruction that can be automated away. So I think what we need to do is actually then train people to be able to ask great questions and questions sort of fundamental first principles and be creative. Those are the things that we we-we will rely on the other place that I think we will see as again as we incorporate more of this intelligence into enterprise software and into the workflow will find us as humans or actually require to create the mutations in the system. So new data sets that you can actually study. So great example [Inaudible] which does basically job descriptions so that they are not nonbiased job descriptions. Matt: A quick side note here just explain what he’s talking about with bias descriptions. While it may not feel relevant to think about it in terms of branding where certain brands have different messaging that will apply to different people. [Inaudible] got the Apple guys we’ve got the tech nerds all of these different things. That all comes down to just messaging which is really just images and text together in a concise way. Our job descriptions are often like this. Typically what you’ll see the effect of descriptions is they apply or are more interesting to primarily white men which is why we have primarily white men in tech because the descriptions are written by other white men. So the terminology that’s used oftentimes can be can be problematic and can lead to situations where you have adverse adverse selection i.e. only certain applicants are applying because almost certain applicants are interested by the job description and in many others in the industry you’re kind of. Ann: And if you think about it. Where do you get these job descriptions it’s not from the machines. The mutations are actually coming from human writers. They’re just being trained to write better job descriptions based on the mutations around language. In order for her the machines to continue to get smarter. And so again the creativity of individuals is still required for new datasets and to expand upon the things that machines are already training. Matt: I would agree with you in some circumstances on that one though I would just say mutation is much more a function of random change than it is of true creativity. Like a machine can be really really good at getting rid of all of the writers and text you know if you just had a few basic parameters and pull them pull them. I mean you could just pull in medium content. Matt: Makes sense. There was there was someone had an automatic twitter bot posting and it was something about the NRA or guns and they just posted after one of a terrible incident and they got a ton of flack because no one thought to check the HootSuite. Matt: And if you don’t think about these type of automation you do run into a lot of problems. I want to I want to transition a little bit so I don’t want to make this the focus of the interview because I know as a female VC who’s been successful I’m sure you get asked this all the time but at the same at the same time it is a challenge that we have currently in the tech industry is that it’s primarily driven by the young single white dudes. How do you see. How do you see the industry changing how has it changed since you’ve been involved. And what would you like to see happen? Matt: And is being very very modest here. She was listed on the Forbes list of top 100 investors worldwide in 2017 and 2018 and is an incredibly successful investor in her own right. I didn’t want to let her get away with being too modest. But now that’s come back. Ann: I believe that it impacts deal flow as well as the quality of decisions that are being made. I believe that venture firms are recognizing that, particularly in a consumer that the female consumer is a very powerful segment and that if you are relying on the secondhand information. Essentially I’m going to ask my wife or my girlfriend or my daughters and that person is not at the Partnership meeting. Then you’re fundamentally at a disadvantage. I also think that even in enterprise software where I play that women have a very different network that we also have a different perspective and see the way my brain works is very different from the way my partners work. And so I think that we offer things to each other that are unique. And so to me the diversity in the environment is all about a winning strategy. It’s not about a double bottom line strategy. Matt: How do we convey that to people because what I see a lot is I see a lot of people promoting things or talking as if all people are inherently the same and people aren’t inherently the same even across gender lines across race lines across anything. We see that people are different but then you also see that there do seem to be some type of trends in terms of in general. Women are much better at dealing with others and not being DECS them. Let’s just say that in the bluntest obvious and controversial sense how do you deal with something like that. Is this something where we should be pushing for 50/50. Is it something where by talking about it we make the problem worse better. What are your thoughts? Ann: I don’t think by talking about it you make it worse I think. I think creating awareness about how to think about it is really important so so first of all having been in a firm that from day one was gender equal. What I found was that we never actually had to fix things you never actually had to have a moment where you said okay we used to do these outings that are very dude centric. And so now we’re going to make them more gender neutral. And so actually being thoughtful about it early on makes the job so much easier. And the way it makes it easier is twofold especially for [Inaudible] investor. Number one the deal flow that you get from a diverse group of individuals actually is is a magnitude bigger than if you were if you look on a page and you see only one type of person. And we’ve seen this just in the data itself in comparing it against other larger firms. We were getting more female founders were getting more people of color walking through our door. And if you believe that the next generation founder is not all going to be part of a homogeneous group. Then you have to believe that you’re missing out on really important [Inaudible]. And so I think just appealing to the [Inaudible] a sense that you really want to have an operational sense of the best deal flow and the best coverage of deal flow. And this is a direction you have to move in. And then the second piece is if you want to have diversity within your group in order to have all the different viewpoints to have great representation of thought patterns and consumer’s voice as well as new trends then you want to actually attract a very diverse group of employees. And I think the problem is that without having diversity from an early stage you really have to go seek it out if you have it from an early stage. It’s a win because every time you look for the next partner or the next day the next operations person you will get the full benefit of a large swath of audience who’s interested in working at your company. And so that that’s the benefit is that when you’re maximizing for the firm, in general, that’s the direction you’re headed. Matt: Everyone wants that dream team and the dream team generally can do everything. I think it I think it makes a lot of sense.What industries are what venture firms what companies outside of asleep for a game and everyone associated there are you most excited about. If you could just sit in on one VCs firm or you could work with one specific industry outside of your own. What would you want to focus your time on? Ann: Yeah I mean I’m super excited about Chris Dickin’s new Andreessen Horowitz 300 million dollar crypto fund. And I think you know a lot of people are really interested in crypto currency and the economics that are involved there. The piece I think is really fascinating for me as going back to this artificial intelligence thesis that I have artificial intelligence today is still about centralizing data in a data lake and then operating your models off of that very large data. Training your models they’re bringing more data into that that data lake and then retraining your models and then pushing out decisions out to the outer edges. What I found is actually you know there’s there are new models whether it’s in autonomous vehicles or in cryptocurrency where we’re starting to see very decentralized networks networks are almost look like mesh networks. And the question that I’ve had is what happens to the intelligence within that kind of infrastructure where everything is fundamentally decentralized and are there ways of basically having peer to peer intelligence where each entity holds its own model looks at its own data and then tries to become smarter over time potentially by swapping models with with neighbors or learning from other people’s models. And I think the reason why that’s really interesting is that. It moves us beyond. This world where everyone is so concerned about the privacy and security of their data. And where has their data gone? In the world of Facebook and Russia. I think people are asking all these questions. Matt: So this was a major breach of trust and I’m really sorry that this happened. You know we have a basic responsibility to protect people’s data and if we can’t do that then we don’t deserve to have the opportunity to serve people with great power comes great responsibility and data knowledge. Those scenario are our power. We’ve seen how those powers misused and abused. But let’s hope we can fix them with something. Ann: And so to the degree that you don’t have to trust a centralized entity that you could democratize trust that you could solve for trust with cryptography. I think the whole world of crypto currency is very interesting for that reason and then artificial intelligence becomes a huge problem in that sector because you have completely decentralized network. And so if I could be a fly on the wall with Chris Dixon’s new fund I think that would be really fascinating because they’re really at the cutting edge of some of the the most interesting companies that are emerging in this sort of Web 3.0 space. Matt: It’s an incredibly interesting space. I’m going to play devil’s advocate. I would say that people almost don’t care about their privacy. If you look at mass consumers I would say the tech industry understands that they should care. But if you look at your average Joe they’re willing to give up privacy in any way shape or form for even an ounce of convenience. So that’s the that’s the one hiccup I have with Boston and decentralization movement is that it’s clearly superior. It’s clearly the way we want to go. Ideally, it’s the way it will replace many governments or all governments but it has this problem of people still go to McDonald’s so they can get jobs because it tastes good. Ann: Yeah I’m not sure I’m a crypto-anarchist so I don’t necessarily believe that it has to replace governments. I actually believe that people are actually making that trade-off because they feel like they have to. And the argument is that you actually don’t have to if you can replace this notion that you have to trade privacy for the benefits of a set of services then then then you will because the set sets of services is wonderful but if you actually create a world where you don’t actually have to make that trade off I think people would choose not to. I also think that the government itself is actually quite concerned about this. So if you look at Europe and GDP are there are clear indications that people at least within government want to figure out a way to maintain privacy for individuals. And then I think that when you look at specific types of information there are also places where people definitely don’t want that information to be public. So I would say your own health records your financial records those are all things that you definitely don’t want out in the public world. Ann: yeah! There was a big jerk right might go great with you here and there you got lots of spam. Matt: You got lots of spam and pretty much people laughing at the rules. But first, the first 4 percent fines for Facebook and Google will be very interesting. That’s a ton of money that that will definitely change things. Now I want to I want to shift gears a little bit. You’ve had some success as an investor you invest in Lyft, Xamarin a bunch of other companies. What’s been the most interesting or exciting investment for you today? Ann: The investment in left has been sort of this really interesting ride. Just because I’ve been on the board I sat on the board and I’ve been an investor since 2010 and it started off with them being a platform for ride sharing. In 2010 a company called Zimride and they were selling that platform to universities. They eventually sort of sold it to corporations and really in 2012 built out a mobile app for four pure pure [Inaudible] or ride sharing and. And I think the thing that’s been really exciting for me is that you take a look at the original Zimride pitched Act which was all about why transportation actually is a fundamental economic mover and that changes in transportation will create massive shifts in the economy. That vision is actually going to come true and it’s going to come true because of these transportation networks and the fact that people aren’t purchasing cars as much anymore. It’s going to come true as autonomists really take hold and I think that these changes actually make it really exciting in terms of well what does that mean for the fundamental fabric of the U.S. and what our society actually looks like today. What are neighborhoods look like? How will that actually fundamentally change as a result of how transportation changes. I think even today we really don’t know. And there’s a lot of really interesting arguments around that. But I think that that place finding great investments there can actually be very interesting. Matt: What would some of your thoughts be on those changes. I know I have my own and we’ve had some people in the program? Ann: Yes. So I actually I believe that while the urban environment will continue to see more concentration you’ll also see actually a lot of suburban spread and I’m really interested in what that suburban spread community will look like because the current suburbs are really a 1940s 1950s fantasy for the Urban Development. But, It doesn’t actually reflect the way people want to live today. And I think as we start to want more community more actual in-person interactions the way that actual community is built will have to change. And then I think autonomous actually enable that because now you’ll have these basically room on wheels where you could either get work is done or you can exercise or you can get services while you’re on your way to work or on your way back from work and will become a real extension of your your work time. And so I do believe that you know if you go two hours out of San Francisco and you head south. There are places where you can buy ranch land for you know 200000 dollars for 40 acres. And what can you do with 40 acres I think is a really interesting question. Matt: But I still feel like two hours will be quite a bit but I can definitely I can definitely see your point. That said though as we have autonomous vehicles we need significantly less than we could just get rid of some of these troublesome streets and parking lots and have much much larger cities I also think that rural America is going to be in a lot of trouble because people won’t be stopping there anymore so all of the economy that runs through traditional small towns will start to evaporate. We’re going to cities and suburbs and nothing else? Ann: I mean that’s a that’s a hard question kind of regardless. Right. And I think regardless of autonomous or not you’re seeing a mass movement of people into cities and I think you see this actually globally and. And so what happens to a few things you know elderly people who are living within these communities who takes care of them actually how do you support an economy when actually all the youth are leaving. That’s more of a societal problem and not just solved with transportation changes. Matt: Not only for entrepreneurs but just for general social. Matt: And I know I know you’re incredibly busy. I have two last questions for you. Matt: number 1 number one you may have already covered but anti portfolio outside of Airbnb Who have you missed on who-walked away? Ann: I missed on Pinterest and get hub so we did have it in 2008 and then and I saw Pinterest in a similar period 2009 or so and I turned down Pinterest because it was at the Angel stage. And I didn’t understand what they were trying to build and then went back to them later on and begged them to take my money before they did their Andreessen Horowitz round. But it was probably too late for Fladgate get how we got actually a lot closer. So in 2008 we got to a point where we were talking to the founders and they weren’t taking any meetings with. Early investors. And we asked them. At one point they said OK let’s do this. And we said OK well how much do you need. And. You know what. What would you do with that money. And the conversation actually stalled at that point because I think they were just too busy building GitHub at that time. Ann: I should have given them a check anyway. Matt: It happens it happens in what call the action what you have for our listeners what do you want to leave them with? Ann: I would love your listeners to really engage in thinking about the question of prosperity and in all of the ideas that are presented whether they are in things like AI or autonomous new companies, cryptography, cryptocurrency. I think the place where we go wrong is we only think about disruption and how we append industries. I would love for more of our founders and our investors to always think about how we deliver prosperity to the global stage and if we can think about that at the early stage and really try to deliver upon that on a consistent basis I think we could change the narrative for Silicon Valley and the rest of the world. Matt: UBI? you’ll be universal basic income. It becomes more complicated if you try to do it purely capitalist actually because it seems like exponentially returns. Ann: I think there’s not much there’s a lot of with universal basic income I think there is a lot of other other potential problems you can solve it with negative negative taxes. I actually believe that people like to have a purpose. And so I do believe that we need to provide purpose for every individual out there. And I don’t think you be I actually answers that question. Ann: for people to pursue purpose. Matt: I can completely agree with that. I think we’re entering into a very new and potentially creative renaissance as we look into either that or bulletproofing your titlist survived the revolution. It’s one or the other and we’re not going to see how it goes in the coming years will depend on the government side that it’s much better than others. And thanks for coming on today it’s been a lot of fun. Where’s the best place for people to reach out? Matt: That is such a great Twitter handle. Ann: It’s with two ends now. Yeah I was my nickname in college. Matt: I help. we’ll throw out we’ll throw links and everything into the show note guys. Fringe.FM You know what to do if you like this reach out. And of course subscribe. Matt: Yeah thanks as well and this has been a lot of fun and let me know if I can ever be help. Matt: If you want more of Fringe FM you can subscribe to the podcast on iTunes or go to Fringe dot FM. You’ll find tons of audio and video interviews with leaders in the fields of genetics, cryptocurrency, longevity, AI, space, VR and much much more. And you can follow me on Twitter at itsmattward.  If you enjoyed the show please leave a quick review and iTunes to help more people discover The Disruptors.